A new exhibition at the University of Pennsylvania highlights the work of the Philadelphia architects whose work resisted modernism. The school is hosting a monthlong exhibition on the work of Louis Kahn, Robert Venturi, Romaldo Giurgola, and others who were affiliated with Penn’s architecture program. 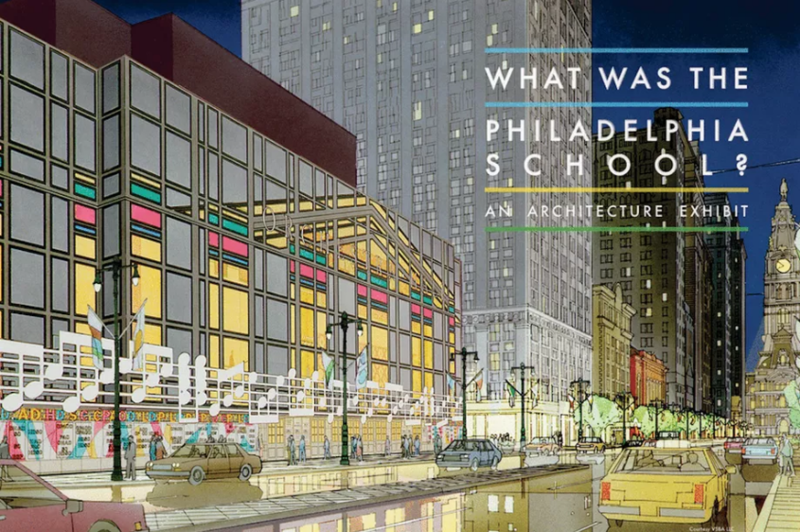 In considering its subjects, “What was the Philadelphia School?” uses a 1961 Progressive Architecture article that called Louis Kahn the “spiritual leader” of the Philadelphia School as its point of critical departure. “There are some architectural historians who have the view that the term ‘Philadelphia School’ isn’t really a school—it’s just a bunch of people who were at Penn at one time. We’re pushing back against that,” exhibition co-organizer Izzy Kornblatt told Curbed. The exhibition features more than 50 models and drawings, including a rare Kahn drawing from his early years and Venturi model of a concert hall that could have been built on the lot the Kimmel Center now occupies. What was the Philadelphia School? runs through April 17 at the University of Pennsylvania in College Hall.